Chill by the pool at Hotel San Cristóbal. All photos by Jessica Cantlin. 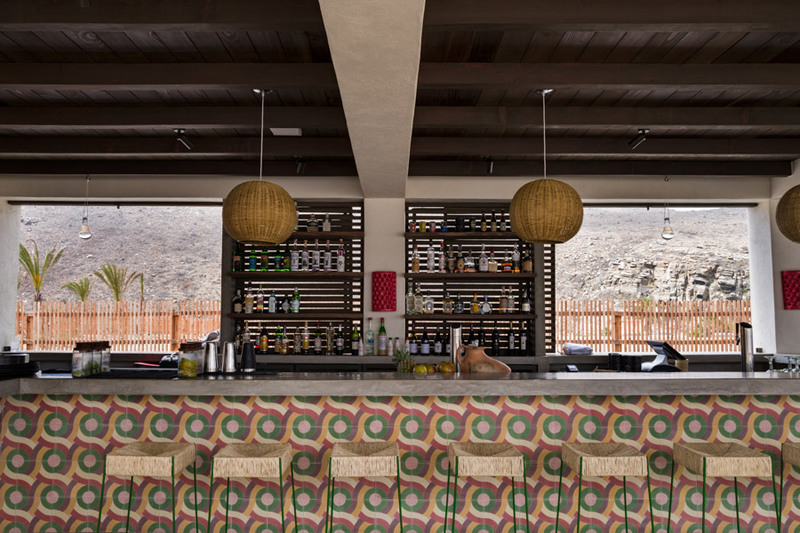 Big news south of the border: Beloved hotelier Liz Lambert is hitting the greater Cabo scene with her latest boutique offering, Hotel San Cristóbal. TODOS SANTOS, Mexico — I've been visiting Los Cabos since my parents bought a condo in Cabo San Lucas in the 1980s. Back then, Cabo was a tranquil fishing village with a beautiful golden beach. In the years since, tourism exploded and, in what felt like no time at all, the area I knew as a child became a mecca for tourists. Somehow, Todos Santos, the little village up the Pacific Coast managed to avoid mass development. And although we sold our place in 1999, I return to Baja every year and often end up staying in Todos Santos. 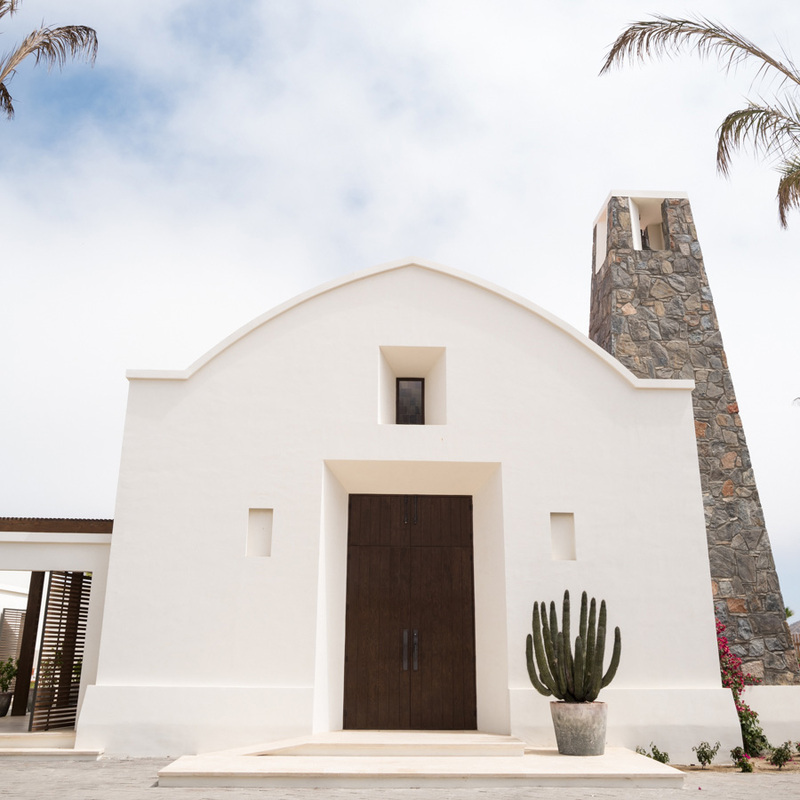 So when I heard that a new hotel — with an impressive pedigree — was being built on Punta Lobos Beach in Todos Santos, I had to check it out. Hotel San Cristóbal is the first international outpost for Texas hotelier Liz Lambert of Bunkhouse Group. Known for such high-design Fathom Favorites as Hotel St. Cecilia in Austin and El Cosmico in Marfa, Lambert has brought relaxed sophistication to this otherwise deserted stretch of beach. For a photographer, Hotel San Cristóbal is a dream to capture. Set against the backdrop of an emerald green pool and the deep blue Pacific, the décor features vibrant patterned concrete tiles intermixed with colorful textiles and furniture. Bright pink inflatable rings rest on the surface of the pool, while guests wearing the hotel's signature striped robes lounge in the shade of white umbrellas. Hotel San Cristóbal is my idea of a beachside, desert oasis. Rates vary depending on the season and can be as low as $200 per night. 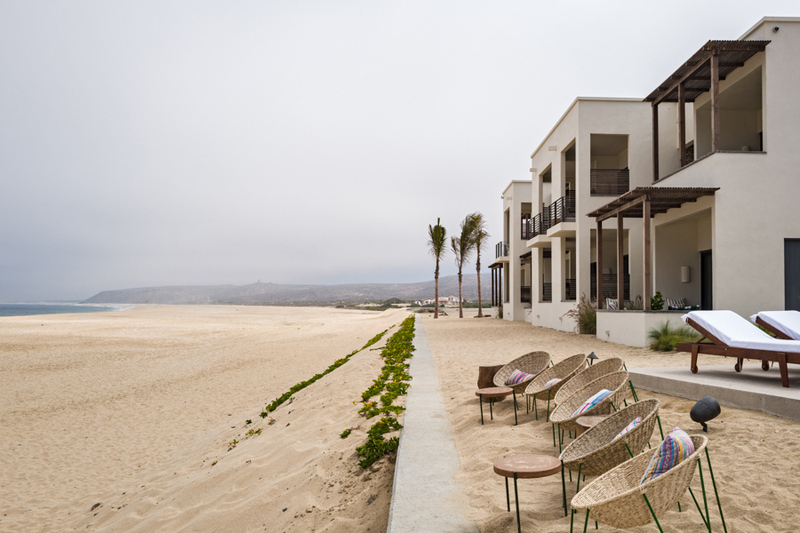 The hotel sits on Punta Lobos, a beautiful, empty beach between Pescadero and Todos Santos on the Pacific Ocean. It's less than an hour but psychologically worlds away from the San Jose del Cabo airport. 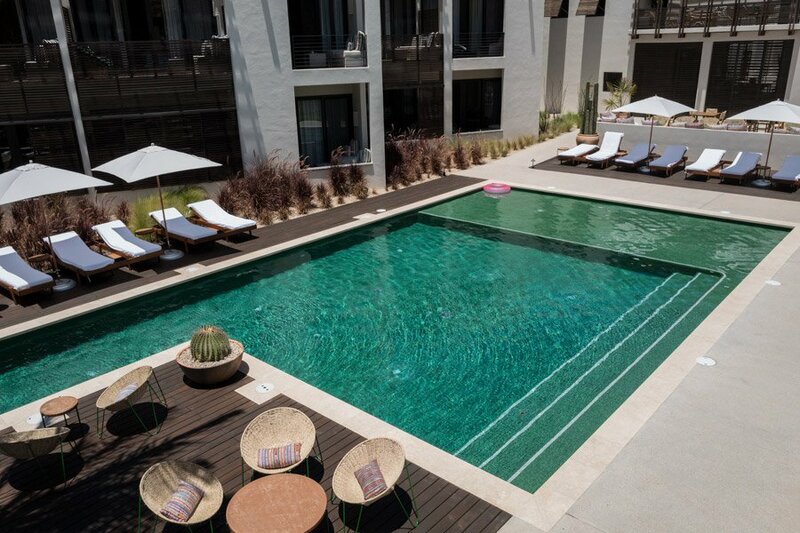 With its high design and jet-set location, Hotel San Cristóbal is bound to draw the hipster crowd from L.A. and beyond. However, as rates climb with the season, it will attract discerning travelers who frequent the five-star properties closer to Cabo but are looking for something a little out of the way. This is not the type of hotel that has music pumping from the speakers into the wee hours. When night falls, twinkling lights are turned on, and the hotel ambiance completely relaxes. This is not Las Vegas, so please don't bring your bachelorette party here. I can't wait to bring my husband and girlfriends, as this is the perfect place to relax by the pool, sip mezcal, and simply sleep in. The hotel welcomes children over the age of 12, but this isn't the kind of place you want to bring the kids. Pool. Beach. Bar. When I come to Baja, I am not exactly interested in doing anything other than sitting by the pool. Swimming at Punta Lobos Beach is possible, though not recommended because of the strong undertow. If you are interested in working out, a run on the beach will have to do, as there is no gym. Likewise, as part of the hotel's effort to minimize its impact on the natural water supply, there is no spa on the property. However, the hotel staff will happily arrange for someone to come to you. In keeping with the low-impact theme, they source a substantial amount of food from local producers, including the small fleet of fishermen who launch from the beach in front of the hotel. 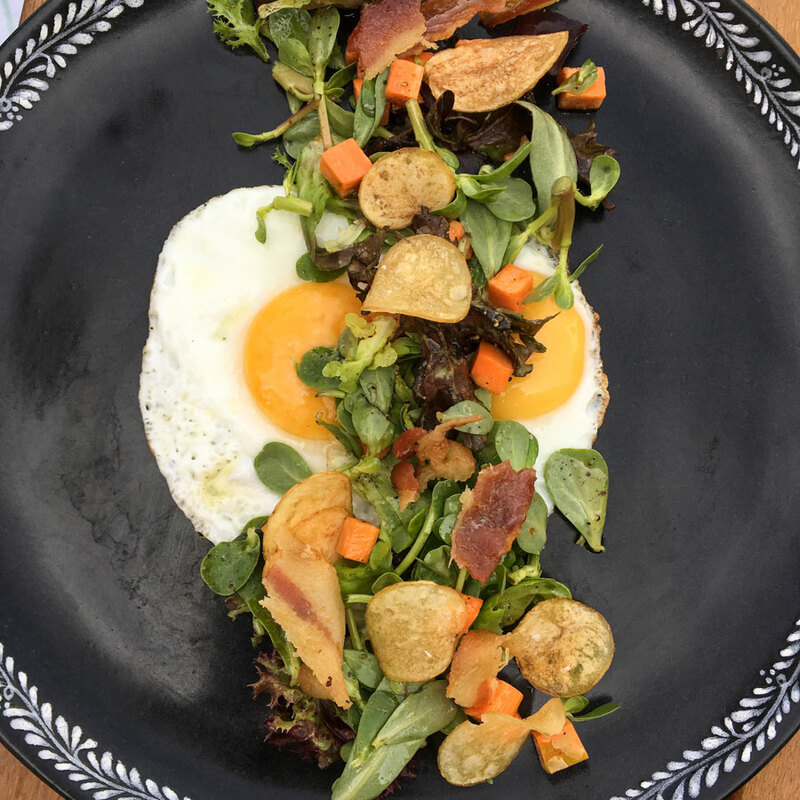 Benno, the main restaurant, serves a mix of contemporary Mexican and Mediterranean cuisine, with an emphasis on quality, freshness, and simplicity. Before dinner, I liked having a cocktail by the pool bar's wood-burning fire. As the sunset leads to stargazing, it is hard to pull away from this cozy corner of hotel heaven. In addition to a full cocktail menu, the pool bar serves a more casual menu of tacos, ceviche, and excellent guacamole and salsas. After dinner, the candlelit library is the perfect place to experiment with a mezcal tasting before retiring to bed. Room service, while not available during our stay, is expected to start soon. There are no bad rooms at Hotel San Cristóbal. Room rates depends on the view you choose: courtyard, pool, or ocean. Each of the 32 rooms is minimally decorated but beautifully designed. 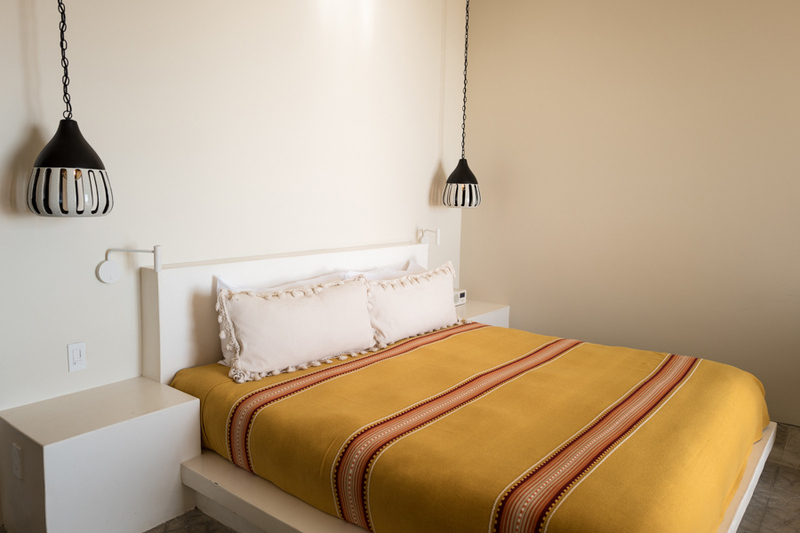 The bathrooms are adorned with colorful Mexican tile, while the bedrooms are accented by bright, hand-woven Mexican bedspreads. Sleep is easy at Hotel San Cristóbal, given its incredibly private location. So throw open the patio doors, and fall into a slumber with only the sound of the waves crashing below. Wifi is fast and free! There is no mini-bar or coffee maker in the room, but the hotel will happily send up anything you wish. The bathroom is stocked with bath products from Malin + Goetz. The footprint here is purposefully small. As part of Tres Santos, a controversial future development along the Punta Lobos Beach, the hotel has made every effort to minimize its negative impact on the surrounding natural environment. This is why you won't find a coffee maker in your room or plastic bottles of water by the pool. Additionally, they strive to have a cooperative relationship with the nearby communities. The staff at San Cristóbal is new to the hospitality industry and were hired locally and trained on site. So while the hotel may be somewhat controversial because of its association with the Punta Lobos development, it is doing everything in its power to endear itself to the locals. The clean and quiet paradise at Punta de Lobos Beach. 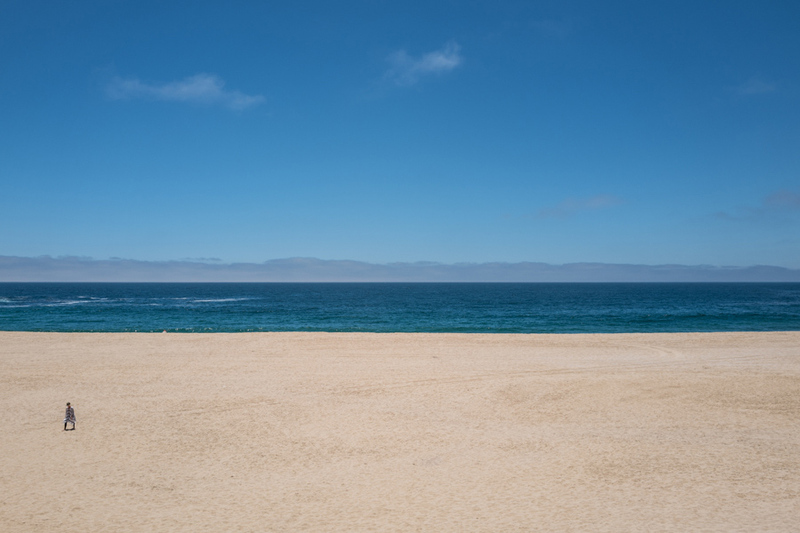 Todos Santos is a five-minute drive away. At present, there is no neighborhood or community surrounding the hotel, which sits by itself at the end of a long dirt road that winds through the desert and ends at the beach. 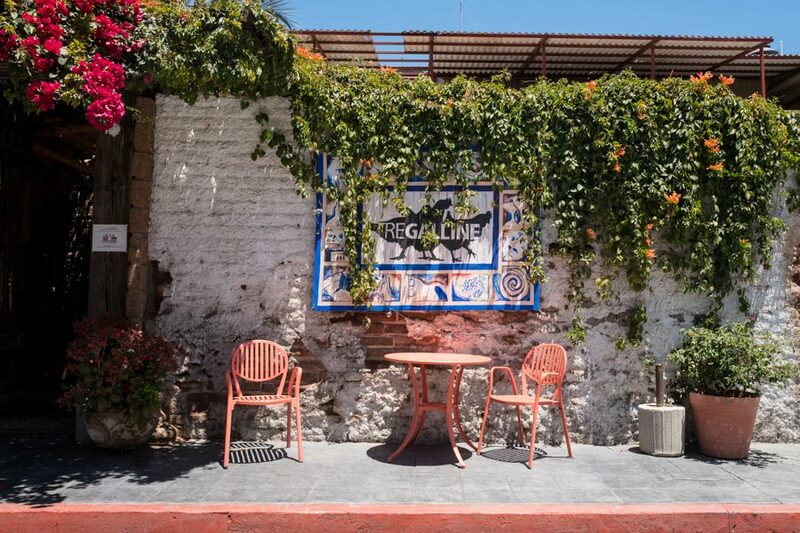 While Todos Santos is just a five-minute drive away, you won't feel compelled to leave, though it would be a shame to miss a stroll through town. A visit to Todos Santos is a must. For surfing, Cerritos Beach has a friendly break and is a short drive south. If you want to swim with the whale sharks or hike in the mountains with a shaman, just ask, and the hotel concierge will happily make it happen. Two nights at Hotel San Cristóbal is not enough. Stay for a long weekend, at a minimum. Most major airlines fly directly into San Jose del Cabo (SJD), a straightforward hour's drive away on a new toll highway. You'll need to arrange private transportation or rent a car. All major rental car agencies have offices at the airport. While the peso is the currency of Mexico, dollars are accepted by most businesses. Just be prepared to receive change in pesos. Service is included in most hotel bills, so an additional tip at dinner is only expected if the service is exceptional. Small local restaurants and tourists shops usually operate on a cash basis. While there are banks in Todos Santos, plan accordingly. Hold onto the bottom portion of your immigration card after you go through customs: The Mexican government won't let you leave the country without it and will require you to pay a cash fine at the time of departure if you lose it. Jessica is a landscape photographer and travel writer from Seattle. You can follow her adventures at feedmywanderlust.com and on Instagram. She travels for the simple pleasure of seeing new places, meeting interesting people, and experiencing unique landscapes.